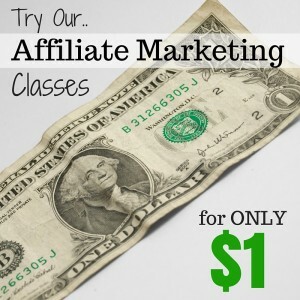 It’s just over 3 weeks since I last posted about 1…2…3 One Hour Affiliate. I’d left it where I’d had my blog deleted. It seems it happens around post 5 – and that is when it happened to me. I didn’t appeal the deletion but it seems that some people who did have been successful in getting their blogs reinstated and within a couple of days too. What’s Happened Since That Fateful Date ! I’d contacted Erica and got some feedback about my blog. Using that feedback I’ve made changes to what I write to add a different slant on the product. It’s taken me awhile to get back to where I was before as it is discouraging when you see your site deleted. But I’ve managed to work through it slowly (too slow). It would’ve been better to get just back on to it, to learn and make progress quicker. To date I’ve posted 6 product posts as described in the course plus 5 general posts. The latest product post was about an hour ago. Number 5 product post was a couple of days ago. So far so good then. The general posts I’ve added after each product post to add some variety to the blog. The first one was why I liked the niche I was posting about. The other 4 I’ve posted a video I found on YouTube or vimeo that either give instructions or are funny and posted on to blog and then written a few lines about the video. So nothing to demanding but it does make it more like a real blog I guess. Apart from improving the writing from the guidance from Erica and the general posts I’ve followed the course in setting it up the same. I’ve not yet seen any traffic or clicks yet through to my Amazon account yet! I’m probably going to miss the last minute big rush for Christmas unfortunately, but there is always birthdays during the year to help with it all. I’m going to continue to build out the blog with a mixture of products and general posts. I’ll probably set aside sometime each week to get 7 new posts writtenup on one day and post them each day. There are suggestions in the guide on what your next steps can be to grow the blog with longer posts. For now I’ll concentrate on these shorter posts to see how it goes. My next post will be in a month or so on the course to update progress, however, if a sale happens sooner I’ll do an update post then. I think it is worth getting and persevering with even if your blog is deleted. It is best to treat it as a learning opportunity rather than a slap in the face – which is easier said than done. Erica is very helpful and replies to your email with suggestions on how to improve your blog.